There are a few blog-related things I wanted to share...so here is a 3-in-1 post. week or so to listen to it, and then I can share my thoughts. I'm basically testing out the music review waters. I'll be mainly listening to Alt Rock/Indie/Folk. This week you can expect my thoughts on the new M. Ward album and the debut album of Alabama Shakes. And on that note (pun intended), there will also be a little musical review collaboration coming in May with Melissa of Press Play. So stay tuned for that too. I'm also tossing around the idea of doing book reviews, but I'm afraid to take on too much. If you do reviews or have any tips for me, please share. If I had 30+ hours a week to read, I totally would. Unfortunately with two rug rats, it's not that easy. Basically, I'm on the fence. 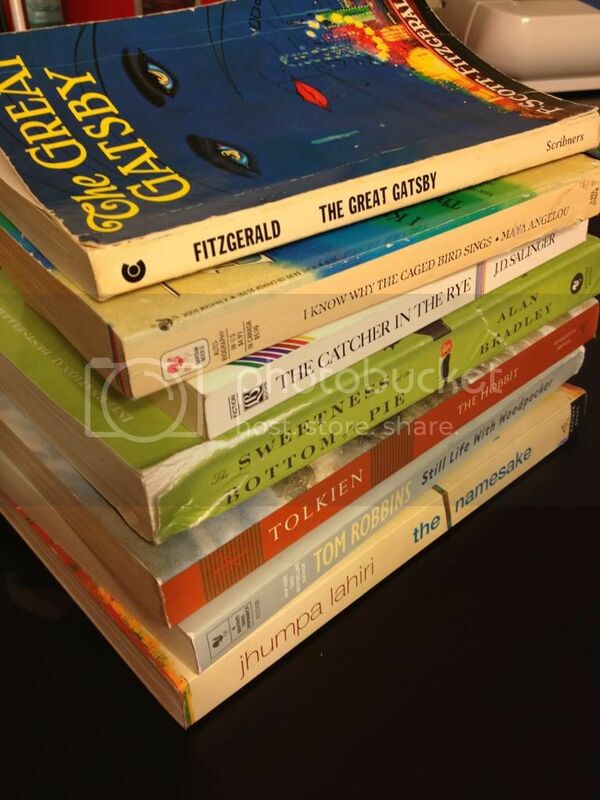 Now, on to the Reading Challenge I want to share. My friend Megan, Semi-Charmed Kind of Life, is doing a fun, unique Reading Challenge for this summer. I'm very excited about this one. You can find the rules and guidelines here. I think you should play along, because reading is fun. And fun is good. So, here is my (un)official list. I want to say this list won't change, but I have never successfully stuck with a list, ever. I will finish the challenge though, and if you want try to race me to the finish, game on, my friend. Game. On. And last but not least, I have decided to take a break from Sponsor Swapping for the summer. It's just going to be a super busy summer and I can't promise I will be able to stay up-to-date on it all. From May through August, the sidebar spots will be filled by a few of my favorite blogs and friends. I hope to have the sponsor swap back up and running in September. As always, thanks for understanding. I give you. 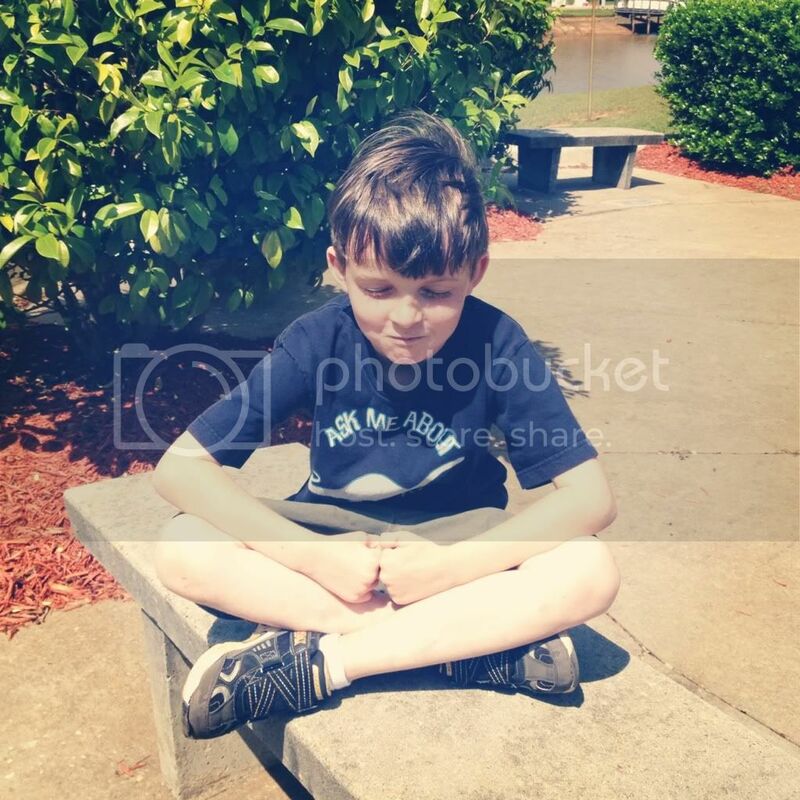 My son doing some Avatar meditation in the park. Obviously got embarrassed when I busted out the camera. Looking forward to your music reviews! Also, that list of books looks fun. I'm also planning on reading The Namesake for World Book Night. A friend lent it to me more than two months ago, so I really need to get to it. I can't wait for May 1!! I'm so happy that you decided to do some album reviews! Honestly, I totally think you should do book reviews as well. it's a GOOD thing you don't finish books every day, because that would make you a book blogger. But like me, you'd be able to review your favorites once every couple weeks (or do a post at the end of each month with what you read, and rate them, etc). I think you could definitely do it, and it would give you a good way to look back on what you've read through your blog! Such great categories for the Summer Book Challenge. I think I might have to hop on board that train. As for book reviews, I say go for it. Even if you don't have time to post reviews on the same day each week/month, I still think there is value in posting them. I post book reviews when moved by a particular book and definitely take some of my reading cues from what others have recommended. Wonderful post. I think it is very informative post.Mark David.